EDITOR'S NOTE: We forgot to really delve into John working on the brand new Back to the Future comic from IDW coming in October! We'll have him back once it releases! Jump inside The Pull Bag's latest interview, as we welcome and salute Captain Continuity John Barber from IDW Publishing. TFG1Mike and PecanCtMichael talk with John about how he got into comics, what made him want to be a writer, and so much more! We talk about Transformers comics, and the new Jem comic as well. 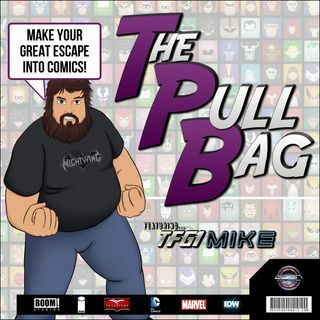 SO ... See More MAKE YOUR GREAT ESCAPE INTO COMICS and jump inside The Pull Bag Today! The post Interviews – John Barber – IDW Publishing – Truly Outrageous Transformers appeared first on GeekCast Radio Network.